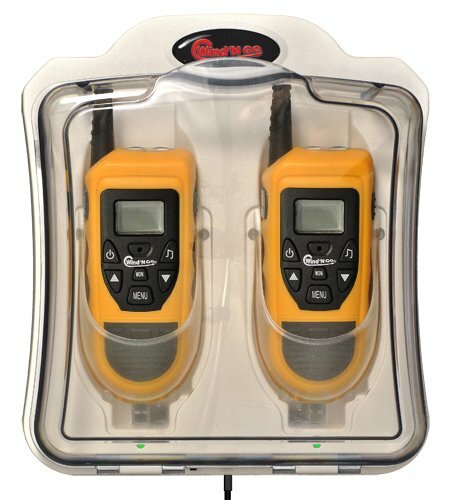 Emergency Light & Communication Center consists of 2 Wind n Go 2-Way Radios #7910 in a wall-mounted charging center. Continuous power or dynamo hand crank feature. AC / DC power adapter with power out blinking light and charging indicator. Emergency Light & Communications Center contains 2 #7910 2-Way Radios. Mounts to any wall surface. 120v power continually gives product a trickle charge so they are ready to go when needed. If power stays off for extended period of time just wind them up for more power. Impact resistant cover, Power out blinking light, charging indicator light and Glow in dark pockets.